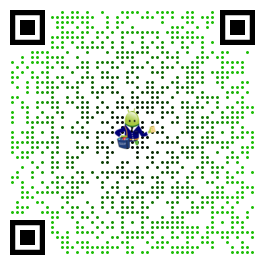 Alibaba Master : 100% Free, Small size, No Ads. TOP security protection with auto Call Recorder, junk cleaner, antivirus, privacy vault. keep your phone safe, fast and optimized, just like new. Call recorder records both sides of calls clearly with advanced noise reduction tech. Clean up junk files and memory cache, freeing up more space and boosting phone’s speed. With just one tap, the phone booster helps to speed up your phone by freeing up RAM. Hide pictures and videos into Vault to ensure privacy safe. A fast virus scanner to protect your phone from viruses, malware and Trojans. 3D touch Support : Quick shortcuts for Phone Booster and Call Recorder. Best free automatic call recorder for help to refer back calls, eliminate misunderstandings or forgetting things. Two recording modes (auto call recording and manual recording) are supported. Records outgoing calls and incoming calls. Playback the recordings anytime. Never miss any important parts of a call again. 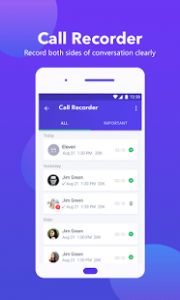 Recorded calls are automatically stored in the INBOX list. You can move recording files to the IMPORTANT list by tapping the star icon next to it. Add notes to recorded files. Select multiple recordings, delete or share them to friends. Choose between low and high recording quality for different file sizes. Import previously recorded audio files from SD card. Helps clean residual cache system files often left by uninstalled apps to free up space. Deeply clean your phone’s junk files, ad junk, apk files and memory cache. Scan the installed Apps, memory card content and new Apps automatically. Detect and remove virus malware, spyware that can harm or slow down your device. Boost your phone to get it running faster and smoother. Phone Booster allows you to efficiently utilize your phone’s memory and speed up your device. Improve your phone’s performance with just one tap on Booster button. Improve battery time by disabling Wi-Fi, blue tooth and Auto-Sync and Closing background battery draining apps. Squeeze up to 20% more life from your battery. Battery Power Calculation: Tells how long battery will last, provides power draining details and optimization functionalities. Photo vault is here to protect your privacy safe. Perfect photo hider and gallery locker. Hide pictures and videos into vault; No need to worry your private photos being peeped by snoopers. The number of saved calls is limited only by your device’s memory. Call recording is not allowed by law in some countries, so some devices may not be able to support this feature. To make sure that the call recorder works well, please turn off Bluetooth while recording. Hello dear Diana， Thank you for your feedback.We are so happy to hear that. We will keep optimizing it to better secure your phone. Merry Christmas. Brilliant ,cleaned my umi strait away.